What is a Nursing Degree? Chances are good that you know at least one nurse. Maybe someone in your family is a nurse. It is the most popular medical profession and one of the most popular occupations in the country overall. Nurses fill an important role in our hospitals and you, too, could fill that role. By applying today for a degree in nursing, you can start on a new in-demand career path. A nurse is someone who cares for patients at a hospital when the doctor is not around. They support people who are going through traumatic experiences, administer medicine, test patients for illnesses, and follow-up with patients after they leave the hospital, among other tasks. Your exact tasks will depend on your specialty. As a nurse, you must be someone who can be caring and show sympathy to a complete stranger. At the same time, it's important that you, as a nurse, are able to prevent yourself from becoming too invested in a patient who is facing a life-threatening illness or trauma. You will need to be emotionally stable and able to cope with tragedy should the unthinkable happen. Most nurses work within a healthcare facility. Much of your time will be spent on your feet and moving around the hospital. As a nurse professional, you should be in a physical condition that will allow you to be in constant motion throughout the day. You might also be on-call 24 hours a day, so expect to work some holidays, weekends, and late nights. How can I get a Nursing Degree? Nurses are obligated to be continual students. There are endless amounts of certifications and credentials that can help you advance in your nursing career. You will be required to pass a national licensing examination in order to obtain your nursing license. A degree in nursing will teach you everything you need to know to pass the exam. The job prospects for nurses are growing rapidly. 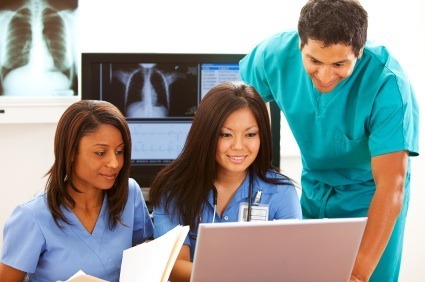 The Bureau of Labor Services has stated that nursing is growing by 22% by 2018. The majority of openings are at entry-level positions. Nurses earn $64,700 annually on average. Entry-level positions may be lower, but top level nurses earn $95,000 and above. Apply today and help keep your community healthy!